Sam and her family wanted tickets to see the “Lion King” at the Lyceum, and decided to make a day of it. 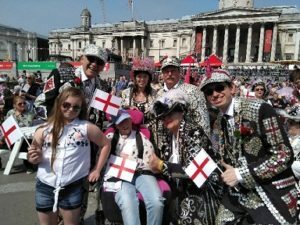 Her mum said the show was amazing, and they had the added bonus of meeting some Pearly Kings and Queens in Trafalgar Square. What a lovely photo!